Insight on customer experience with Jay Baer. Today we’re speaking with Jay Baer, customer experience expert and best-selling author of several books, including Hug Your Haters and Youtility: Why Smart Marketing Is about Help Not Hype. Jay, thanks for speaking with us today! Delighted to be here, thanks for taking the time. First off, I wanted to ask you, in your book Hug Your Haters, you mention that 80% of companies say they deliver out­standing customer service, but only 8 percent of their customers agree. What are a few of your favorite tips for closing the gap with customer service? That research comes from Bain, and it’s interesting, so many businesses feel like they’re already good at it, and I think because businesses don’t intentionally deliver poor customer service, they just believe they’re good at it, but when they dig a little deeper they’ll often realize they’re not. In the research I did for Hug Your Haters I discovered the key to improving customer service isn’t really that difficult. It’s answering your customers, which sounds incredibly self-evident, but we discovered in the research that one third of all customer complaints are never answered. That tends to cause customers to leave, because no response is a response. It says ‘We care so little about your dissatisfaction that we refuse to even acknowledge it’. But what about customers that are trying to reach you on Twitter or Facebook? Or those leaving a review on Yelp or TripAdvisor, or talking about you on a discussion board or forum. All of those customers want a response as well, it’s just that most businesses aren’t set up to do that well. They’re set up to answer the phone, answer emails, and that’s about it. Do you think there’s any major roadblocks that they can address? The big roadblocks in terms of answering in all of those different venues is that most companies don’t have an existing customer service team that has either the software or the training to interact with customers in a place like Twitter or Facebook. The second obstacle is that in some companies it’s two different teams. Companies might have a Facebook, Twitter, Yelp team, and a separate phone and email team. While that’s better than having nobody handling it, there are often inconsistencies. For example, I’m sure listeners are familiar with the circumstance where some customers will complain on a place like Twitter, because they feel like they will get better results, because it’s a public forum. And they’ll do that because it’s actually true in a lot of cases. You will get a better outcome or a speedier reply on Twitter than you will on phone or email, and so what’s happening is companies are training their customers to complain in public because they give them a better outcome in public, and that’s probably not a good long term solution. In order to Hug Your Haters, you’ve suggested it’s necessary to respond to every complaint in every channel all the time. This can be time consuming. While it makes sense to try and keep the customers you have rather than always chasing new ones, can you tell us some of the less obvious benefits? Adobe did some research after the book that was published, and it puts a fine point on this. They found that in Business to Business (B2B) companies, which is a slightly different dynamic, that eighty percent of total revenue comes from existing customers. That stands to reason, most of your current customers either pay you month to month, year to year, or quarter to quarter. Eighty percent of your revenue comes from customers that you’ve earned, but the average B2B organizations spends 2% of revenue on customer service. So, you are investing two percent to maintain eighty percent of your revenue. That’s a fairly dangerous game to play, and a fairly minimally funded level of customer service. I want to make sure that listeners and readers understand just how important that dynamic is. Keeping the customer you’ve already earned will absolutely grow your business. Research that’s been proven multiple times by many academic organizations says that if you can increase your customer retention by just 5% or so, you can increase your profits geometrically by 25% or more because of the compound in effect of customer retention. We want to make sure that we’re not so quick to write off the customer. I hear all the time “they’re a bad customer, we should just let them go, because we’ll be able to replace them easily”. Maybe not. We just need to work a little harder on the customer service and customer retention side of things. Considering how much it actually costs to go acquire customers, something like 6 times that of retention, it’s definitely better for the company overall. What’s amazing to me and why I wrote the book, we all know that to be true. If I say to you or to anybody else that’s been in business longer than half an hour, it makes sense to keep the customers you’ve already earned, and it costs more to replace customers. Nobody is going to argue that and say “that’s crazy”. Everyone knows this to be true, but yet almost no companies are actually set up that way. That’s the great mystery of modern customer service. We all know that we should do more customer service, and do it better, but yet we still don’t. I think I’ve heard some of these statistics before, even years ago, yet here we are in the same boat today. Yes, and customer service has gotten more difficult, which is why the book is timely. We weren’t that good at customer service when all we had to worry about was face-to-face, letters and phone. Now we have to worry about face-to-face, letters and phone, email, social media, review sites, discussion boards and forums, and all the rest. We weren’t good at it when we only had three channels, we’re definitely not good at it when we have twelve channels. You’ve mentioned in the past a study by Walker which states by the year 2020 customer experience will overtake price and product as the key brand differentiator. Are there specific strategies for SMBs to utilize that can help develop this opportunity? Absolutely, in fact my new book, which I’m working on right now called Talk Triggers: The Secret Recipe for Doing Things Different and Getting Customers for Free, it’s about that same idea. This notion that customer experience can actually create new customers. What most people try to do, what much of the literature will tell you, and what most consultants, speakers and authors will say is that the secret is to deliver a good customer experience. Meaning that you are adept at executing whatever it is that your business offers. Let’s say it’s a high quality product that doesn’t break, or in a service business, the people who deliver the services are polite or on time. All of that’s fine, you should definitely do that. You shouldn’t run a bad business, but those kinds of attributes, essentially being a ‘good business’ and delivering a ‘good customer experience’ is not enough to actually trigger the word of mouth viral effect to get new customers. No one ever says “Hey, let me tell you about this perfectly adequate experience I had yesterday”. Instead, what you want to do is not only deliver a good experience, but do something different. Do something unusual, yet relevant, that customers will remember and tell stories about. There’s a restaurant in Sacramento called Skip’s Kitchen that specializes in hamburgers and known to have the best burgers in the Sacramento area. That’s their good customer experience. They run a good restaurant, it’s clean, speedy, and the food is good. But that’s not enough to create word of mouth. What they do is, when you go to the counter to order your food, the cashier pulls out a deck of cards. Fans the deck of cards out in front of you with the numbers down. You pick a card at random. If you get a joker, your meal is free. If you don’t get a joker, whatever number you get you would put on a little hanger on your table which is your order number so they can find you. That’s their hook that creates word of mouth, and gets them new customers as a result. You can’t have one without the other. You can’t have a word of mouth trigger and run a terrible business. But you also can’t just run a good business and expect people to talk about you. Of the 95% of customers that are dissatisfied and never mention anything to the business, what steps can you take to identify that group to try and retain them, and what steps should you take to try and win them back if you realize they’ve left? That’s a really interesting question, I’ve never been asked that question that way before. Let me set up the numbers a little bit more for listeners and readers. So the stat is, out of every 100 dissatisfied customers, only five will complain in a way that you are likely to find it. Those are the people who call you, email you etcetera. Five out of one hundred. So 95 unhappy customers, ninety-five percent of unhappy customers, just stopped giving you money. They don’t come to the restaurant anymore, they cancelled their software subscription, or whatever. You’ve hit upon an important point, which is, how do you know those ninety-five, without them complaining overtly. It really depends on your business. If you run a software company, you can easily run a report on people who do not renew, or look at usage reports and see who’s not logging in anymore, and you should proactively communicate to those people and say ‘hey, I see you haven’t logged in for a while, how can I help you? What has gone amiss here?’. In an email circumstance, if you have a restaurant with an email newsletter, you see a certain segment of your email list stops opening or clicking on the email, you might be able to message them and say I understand you’re not engaging with us like you used to, is there something else that we can offer, what can we do to help? It’s a challenge. Those people are largely invisible and it’s difficult to win them back, until you can see them. The lesson I draw in the book is not necessarily how do you play detective to find the ninety-five percent, although that would be amazing, it’s making sure that you spend a lot of time listening to the five percent who actually do complain because they are representing the feelings and beliefs of a much larger group of people. We don’t commonly accept that wisdom in business. A customer complains or leaves a negative review or similar, and the business says ‘that’s an isolated occurrence and only happened this one time. That customer is unusual or an edge case’. Mathematically, it’s just not true, it doesn’t hold water. On average, every unhappy customer represents 19 others that have the same problem, but didn’t say anything about it. 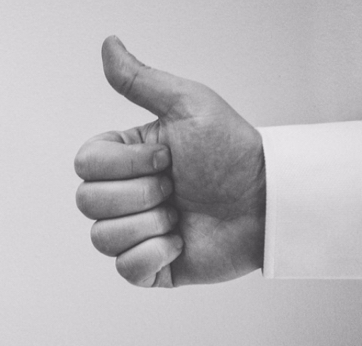 In your opinion, how important are online reviews and customer opinion when it comes to the customer experience, and how it can impact attracting new business? It depends on the category of course, online ratings and reviews are more impactful in the categories where customers tend to look at those all the time, but in almost every industry ratings and reviews are important decision makers. There’s now ratings and review sites in all kinds of niche categories. The one I talk about in the book is a site called RealSelf.com, which is ratings and reviews for plastic surgeons. It’s like Yelp for plastic surgery, which is remarkable to even consider. All these different industries have ratings and review sites. I don’t talk about this in the book but I’ll touch on it here. There’s a thing called Hick’s Law, a psychological phenomenon that suggests when consumers are presented with more choices, their ability to make a choice goes down, and takes them longer to decide. There’s a book called The Paradox of Choice which is based on Hick’s Law. It’s like when you go to the grocery store and visit the cereal aisle, you’ll see people just standing there, slack jawed, trying to make a decision by sifting through 50-60 different types of cereal, and it’s almost paralysing. The same thing is true online when you do a quick search and go to a website, you have all these different options, whether it’s software companies or restaurants or plumbers. What consumers do, because of Hick’s Law, is they shortcut the research process and just look at the star rating. They’ll consider how they’ve been presented a list of eleven different plumbers, where one has an average 4.4 rating, and another has a 3.9. The consumer will click on the plumber with the 4.4 rating and likely not do any other research. They might look at a few other ratings and reviews, and they’ll feel that will be enough. We’re shortcutting decision making because we have to. That’s why ratings and reviews are so incredibly important, and eighty percent of Americans say they trust them in some circumstances. Not only is it necessary to respond to all of your reviews, but it’s important that businesses have some sort of strategy for making sure customers provide them reviews. One last quick question, when was your new book coming out again? The new book is called Talk Triggers and it will probably be out either September or October of 2018. We’ll see when it is we get it on the shelves, but around next fall. 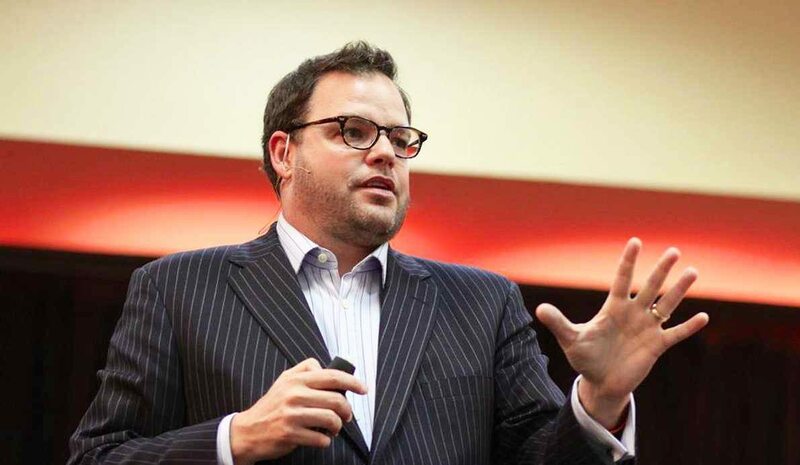 We’ve been speaking with customer experience expert Jay Baer for Nicejob. For books by Jay Baer click here to learn more.